Though I dearly respect the Office of the President of the United States, I cannot and will not respect its present occupant Barack Hussein Obama. Deception and lies put him into office, but Truth and Justice will remove him! Throughout the history of mankind, Evil has shown its ugly face. 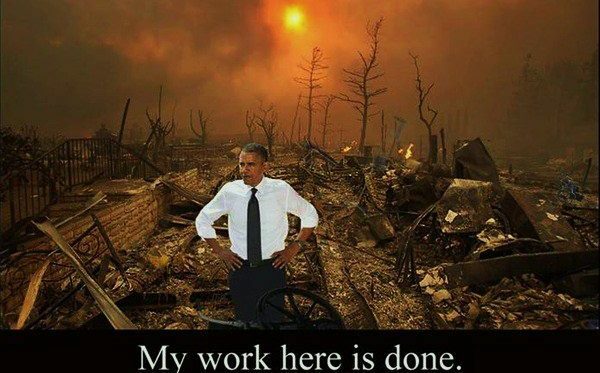 The serpent that beguiled Eve, The Hebrew Dathan that betrayed the people at Mount Sinai, Romes Nero who played his fiddle (Barack prefers golf) while Rome burned, Judas that betrayed Jesus, and now we have Barack. As sure as there is the God of our Fathers, Barack will receive his just rewards, and I pray that will transpire soon. God bless and preserve our precious Constitutional Republic!